Outlast 2 Difficulty Update now available for download. The update is currently rolling to on PC. The new update includes some minor adjustments to the game’s difficulty in key areas and moments. On Normal difficulty, this will offer players a more appropriately balanced experience while still maintaining higher levels of challenge on Hard and Nightmare difficulties. Microphone no longer uses extra batteries. Increased the size of subtitles. Outlast 2 patch 2 fixed an issue on Intel HD 4000 cards where most dynamic lights were missing. Fixed an issue where flickering black squares appear in the center of the screen at some specific resolutions. Outlast 2 patch fixed an issue with alternate controller mappings and the camcorder UI. Fixed an issue with double doors where one of them is locked. Fixed an issue causing lost save games when Steam somehow fails to initialize. Outlast 2 update fixed some heretic sound effects. Outlast 2 update added a “-refreshrate 60” command-line parameter to specify a preferred refresh rate (replace 60 by the desired refresh rate). Added a “-notexturelimit” command-line parameter to remove texture size limits based on VRAM amount. Added a “-borderless” command-line parameter to use borderless fullscreen and not have to edit INI files. 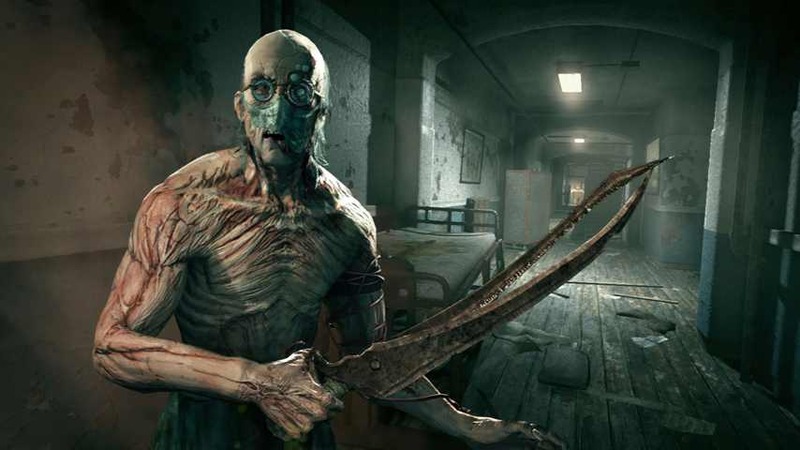 According to the developers, the Outlast 2 is a commercial success, recouping development costs in the first week.